It's that time of year again! Halloween is only a weekend away and although I spend all year thinking about what I'm going to be and pinning ideas on Pinterest, it never fails that I wait until the last 1-2 weeks to decide on a costume. That would be fine if I wanted to just run into Party City or Walmart to buy a costume, but I love to DIY plus all the good costumes have been picked over by the non-procrastinating Halloween shoppers so it's nearly impossible to find anything good. 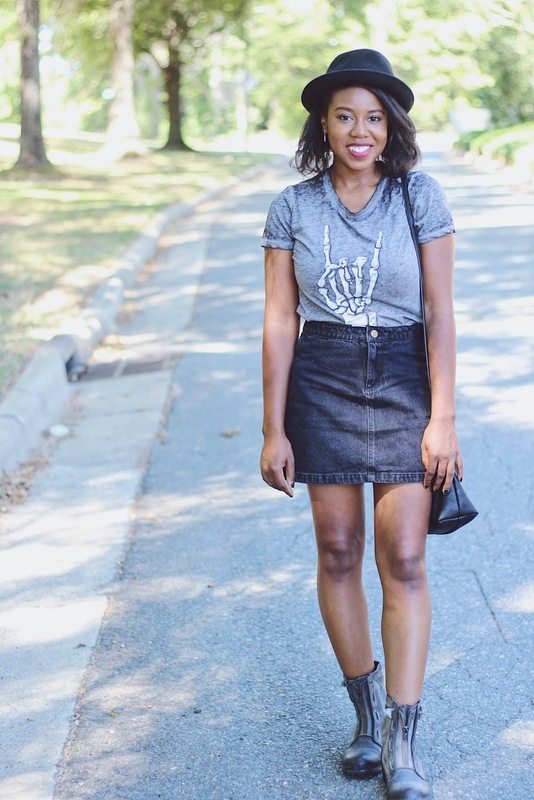 But don't fear, if you're like me and waited because, in today's post, I've put together 3 costume ideas that are quick, and CHEAP! 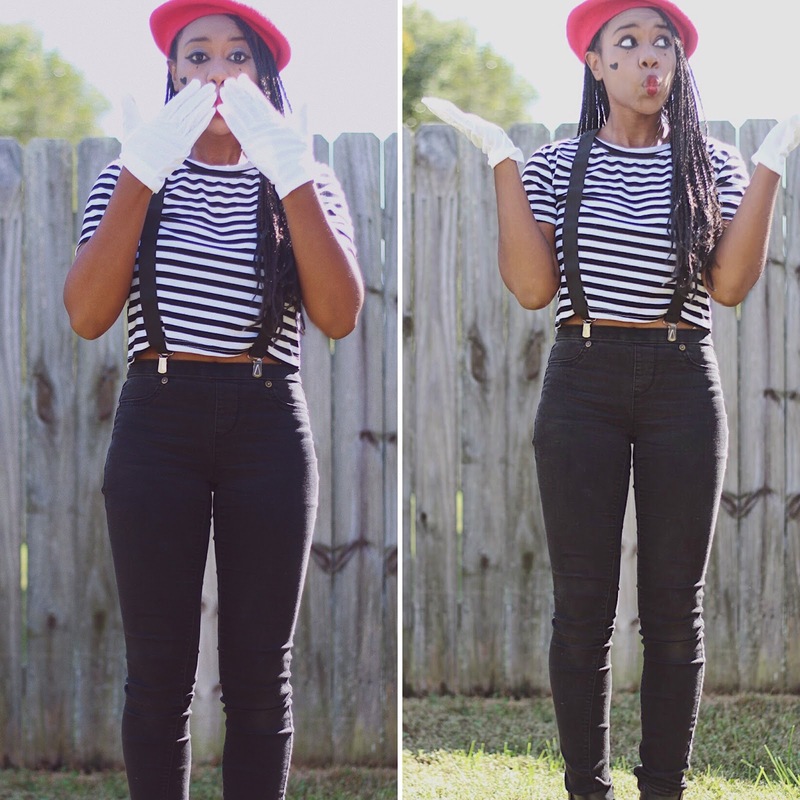 Silence is Golden, and so is this easy costume! I bet you already have all of these items in your closet, that if you wake up next week and realize it's October 31st, you have a costume all ready to go! Awkard Hand motions and facial expressions! Earlier this month, Twitter got into a heated debate about this classic candy! But whether you love candy corn or think it should be flushed down the toilet, you'll look sweet in this easy costume, and even the candy corn haters will get a toothache! 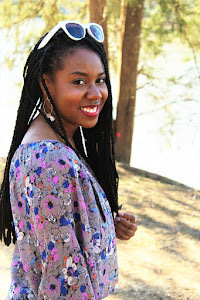 You can either put some sewing skills to the test or break out the fabric glue for this DIY! Cut the top of the orange shirt and attach it to the middle of the white shirt and do the same with the yellow, but attach it to the bottom of the orange shirt to follow the Candy Corn pattern. Top with your white party hat. I also paired my shift with white tights to keep my legs warm! All eyes will be on you in the center of the Ring, like a Circus in this costume! 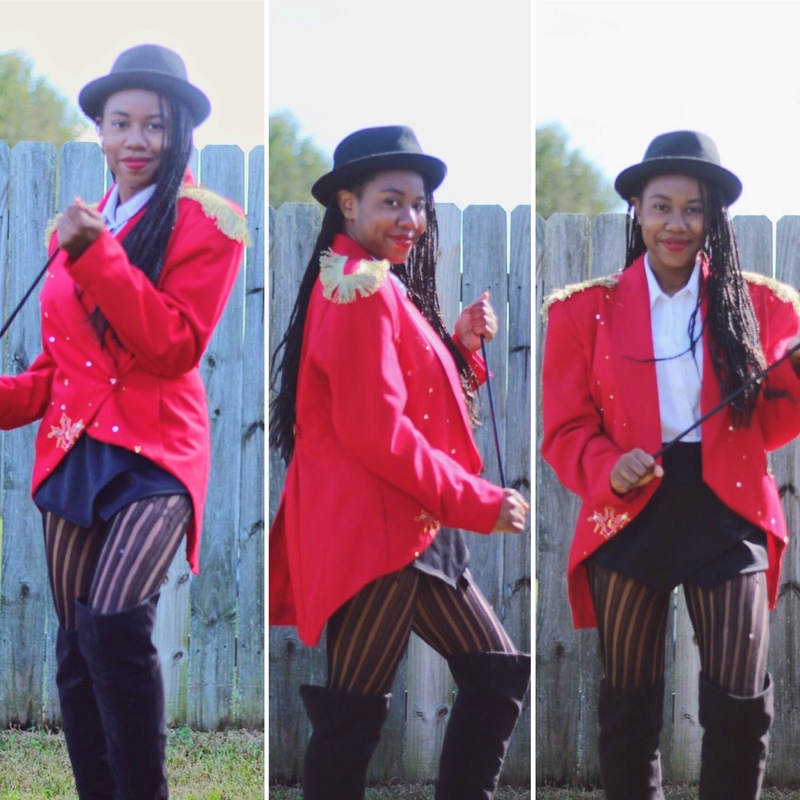 This one requires a little more work because you'll need an old Red Jacket or Blazer you don't mind cutting up and decorating! I ended up cutting the back of my blazer to give it that Tuxedo Tailcoat look and stitched the sides up with a sewing machine. And hot glue the fringe on the shoulders to make to Epaulettes! 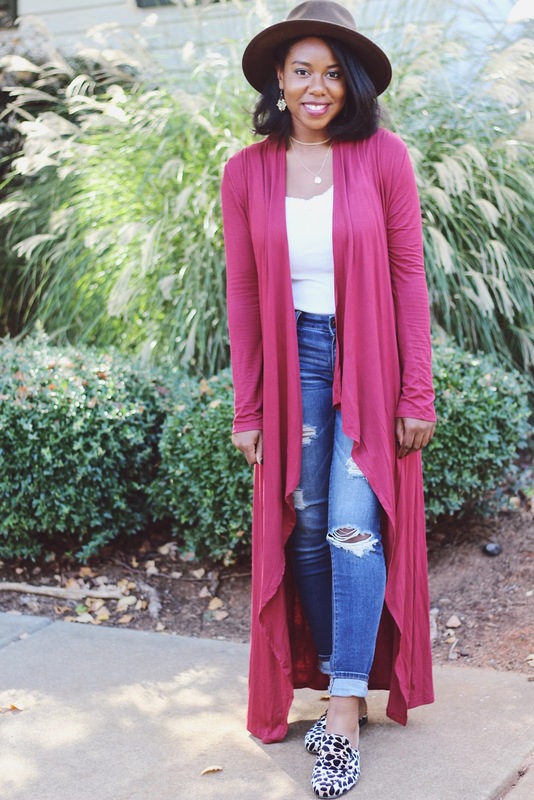 The Jacket was the only thing I had to DIY and it was pretty simple! Be sure to check out my DIY Halloween Costumes post from last year for some more quickie costumes! Hope you guys have a spooktackular Halloween! It's a wet and chilly one in Charlotte today, but that's okay, my sweaters were starting to feel neglected just hanging there in my closet. 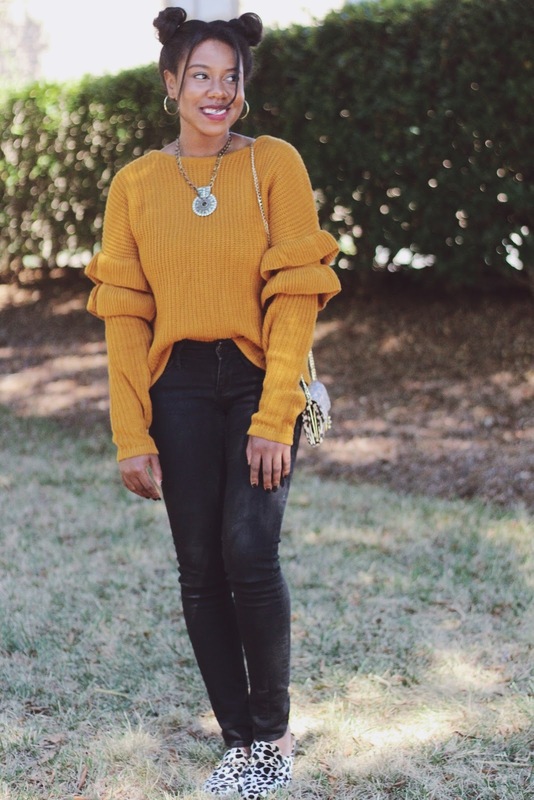 In today's post, I'm wearing two cold-shoulder sweaters I recently purchased and I'll be sharing a few other cutes one I like! 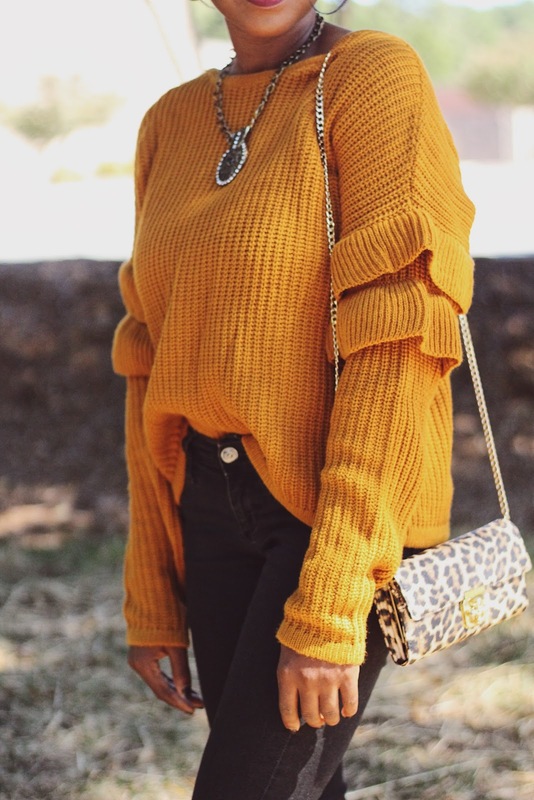 I love the color of this sweater! Online it's described as a dusty rose... I paired it with a favorite old pair of jeans (I bought these from Delia's years ago) and my new dark grey OTK boots from Charlotte Russe! 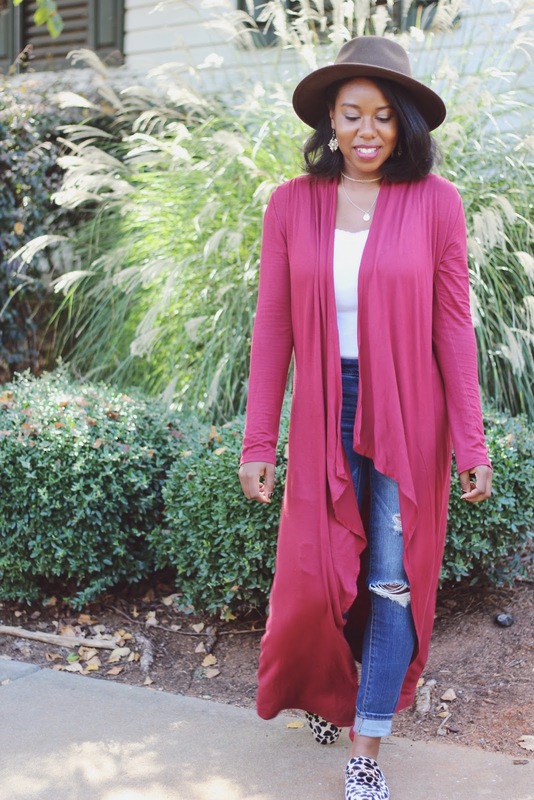 How Fun is a cold-shoulder dress?! And I love the burgundy color! This sweater has cute sparkles in it! 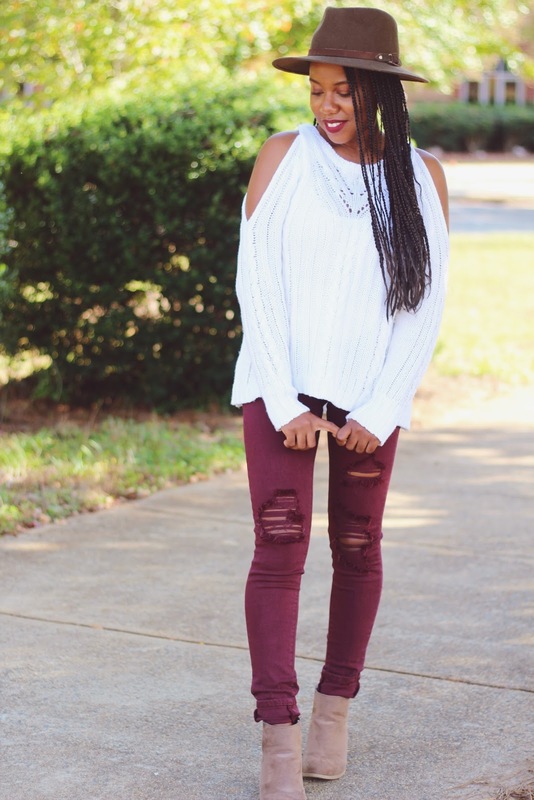 I love how chunky the cable knit is in this sweater! 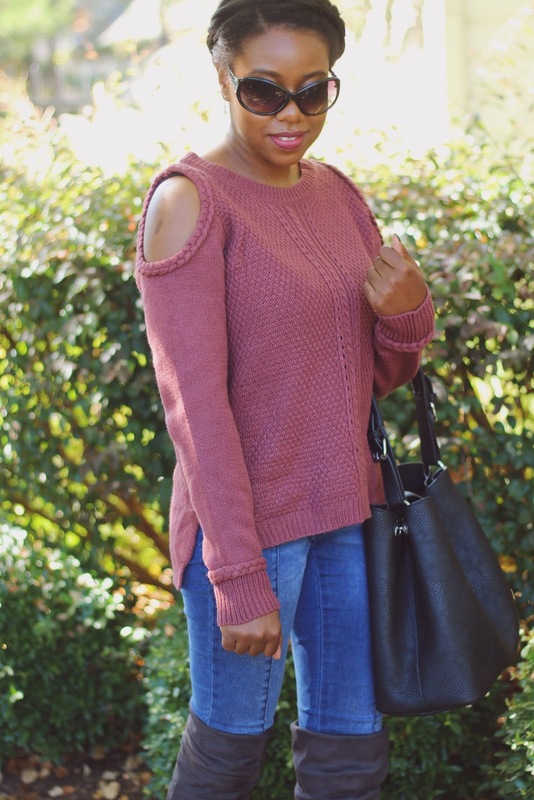 I love to wear deep colors and neutrals in the Fall, but I fell for the light pink color of this sweater and I love the little bowties at the shoulder! This weekend was so rainy now that Hurricane Nate finally hit land that I was unsure if I would be even able to leave the house! 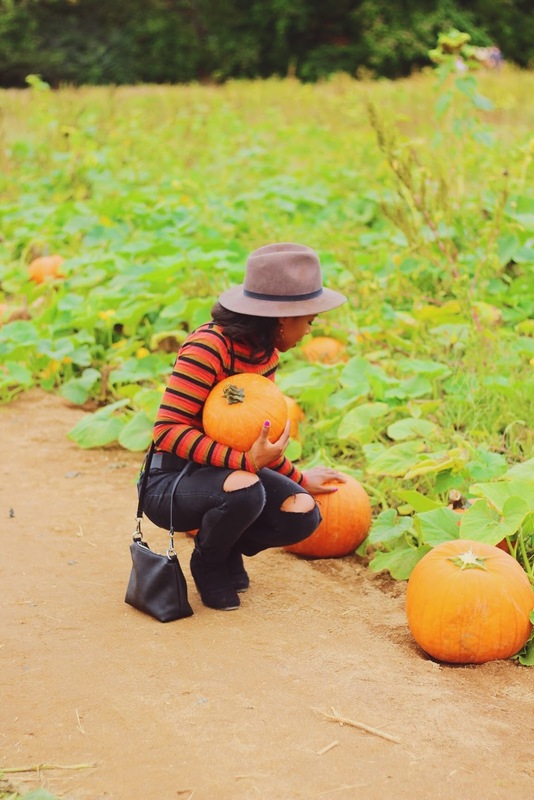 But I did beat the rain yesterday and visited my local pumpkin patch! 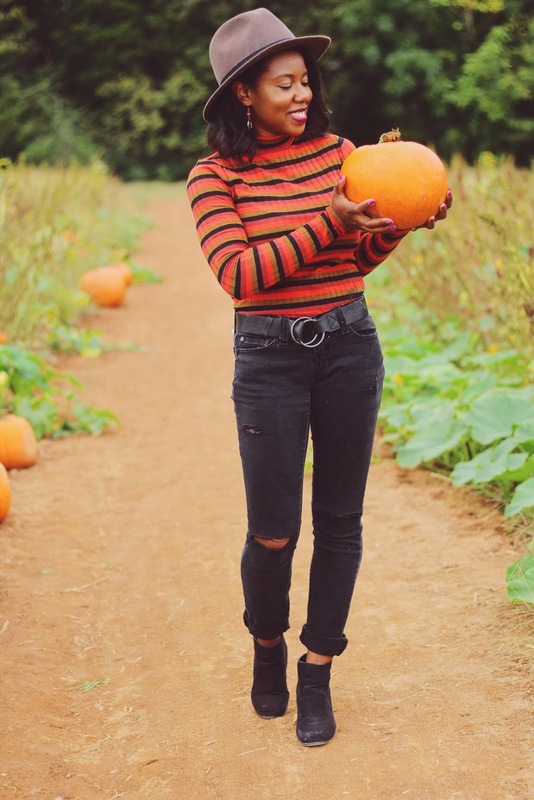 I love going to the pumpkin patch every year, there's something in the experience of picking a pumpkin where it grows and I love seeing all the families out with their kids, pulling and pushing wagons full of pumpkins! It such a classic fall experience! I love white pumpkins and was so excited to spot one! I didn't even notice when I put it on, but I totally see it after she pointed it out lol!